Don’t let a difficult patient ruin your shift. Keep your cool under pressure with these handy tips. Remember It’s Not Personal: People are usually in a hospital for a reason — they are sick. They might also be afraid, lonely, or on medication that makes them irritable. Everyone reacts to these situations differently, so It’s important to remember that your patient probably isn’t at his or her best around you. Cut them a little slack. Connect: Sometimes, patients just need someone to listen to them. Ask them what they are worried about, how you can help them in the current situation, or even begin your response with, “I understand why you might feel that way.” In most cases, patients appreciate your efforts more when you show them you care about them as a person, not just another patient. Remain Calm: When a patient becomes verbally abusive, take a deep breath and stay calm. This doesn’t mean you have to plaster a fake smile on your face. You can diffuse a difficult situation with concise language. For example, it’s better to say, “I understand why you are upset. Please know that I am doing everything I can to help you,” than “I am doing all I can here. You will just have to wait.” It’s also a good idea to set a time limit for how long you are willing to listen to their complaints, and then if necessary, inform the patient you will return when they are ready to listen to you. Know Your Emotional Triggers: Everyone has their own emotional baggage. Be aware of yours and what language might trigger it. If you are easily hurt by negative comments, take a few moments alone to recover before moving on with your day. Try to stay positive with a good sense of humor about the situation. Recruit Help: Unfortunately, even the above tactics might not be enough in extreme cases. Sometimes patients can become violent. These patients might have a mental illness, be intoxicated or drugged. Whatever the reason for the outburst, you do not have to put up with physical abuse. When necessary, alert your immediate supervisor to the situation or call hospital security to help. As a healthcare professional, you know that caring for difficult patients is part of the job. Although it’s not easy, handling these patients doesn’t always have to be a chore. These 5 tips on treating a difficult patient will help you remain a professional, confident travel nurse. It’s important to be respectful of your patients’ cultural differences. As a healthcare professional, you meet people from all different walks of life. Understanding your patients from a cultural standpoint can be a huge asset to your career. It’s especially important for traveling nurses to gain appreciation for the population they serve at their different assignments. In large cities, there can even be several subsets of cultures within the population your hospital serves. Communicate: Does this patient speak the same language as you? If not, find a hospital translator. Communication is obviously the first step in discovering your patient’s needs. As the translator is speaking with the patient, notice the patient’s nonverbal and verbal cues. Different cultures have different communication values. Determine Level of Comprehension: Does the patient understand you? Head nodding doesn’t always mean they “get it.” The patient might also be embarrassed to ask questions. So gently ask them to repeat what you told them in their own words. If the patient can’t, then you or a translator can re-explain a diagnosis or the situation at hand. Identify religious beliefs/sexual orientation: Religious beliefs can have a powerful effect on patients as they cope with serious illnesses or choose treatment options. As a nurse, you’ll want to be respectful of your patient’s religious views and discover what treatments your patient is willing to accept. For example, some religions choose the power of prayer over medical intervention. Likewise, it’s important to know your patient’s sexual orientation for similar reasons. 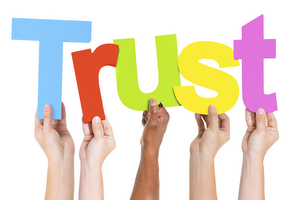 Determine Level of Trust: It can be extremely hard to treat a patient without their trust. If they don’t trust you, they may withhold crucial health-related information. Earning a patient’s trust begins with effective communication. So, be open and honest when communicating with your patient, and use a translator when necessary. Discuss Dietary Habits: Just like religious views, dietary habits can be a cultural factor in the life of your patient. You’ll want to discuss these habits with your patient and respect their wishes as they recover from a procedure. Showing respect for their values will help increase their levels of comfort and trust with you as their healthcare provider. Recognize your own cultural biases: Everyone has their own biases and cultural attitudes, so it’s important to be aware of yours. As a nurse, you should not allow your own cultural views to interfere with the treatment of your patient. Not sure where you stand in the cultural spectrum as a nurse? Take Top RN to BSN’s quiz to find out. As a travel nurse, has there ever been a time when you needed to be culturally sensitive while treating a patient? If so, what steps did you take to ensure you earned that patient’s trust? It’s important in any field or industry, but it’s especially important for travel nurses to have an amazing resume in order to help them get placed in the jobs they want at the locations they want. 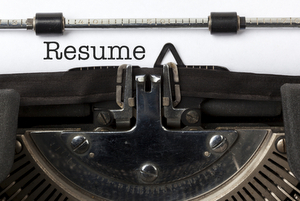 Want to know how to make your medical resume great? Check out this helpful infographic from Carrington College to get your resume where it needs to be to give you the best options for landing the travel nurse jobs you want! Any burning resume questions or tips for others? Feel free to share your thoughts in the comments! Although its allure entices many travel nurses (and rightfully so! ), not every assignment can be in beautiful, beachy, sunny Hawaii. 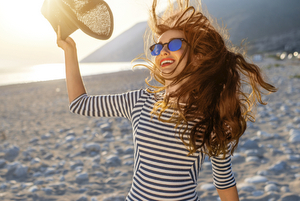 But the good news about summertime travel nursing is that the climate generally gets a little more awesome nationwide — making it the perfect time to really get out there and make the most of your travel nurse assignment. Travel Nursing Blogs did a fun roundup of Ultimate Roadside Attractions for Travel Nurses here, including some of the more unique destinations to check out while on or heading to your assignment, such as the Oregon Vortex, Carhenge, the World’s Largest Six-Pack, and even driving through a redwood tree in California! TNB also has a post about Summer Survival for Travel Nurses here. Nursing Link did a post about fun summer nursing jobs here. 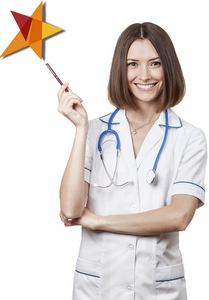 Although not traditional travel nursing jobs, they are in the same vein. The post discusses the options of summer camp nurse and cruise ship nurse! Fastaff offered a roundup of general summer health and safety tips here. It’s all stuff you should know, but it’s never a bad idea to review. American Traveler offers some summertime tips for specific locations here. 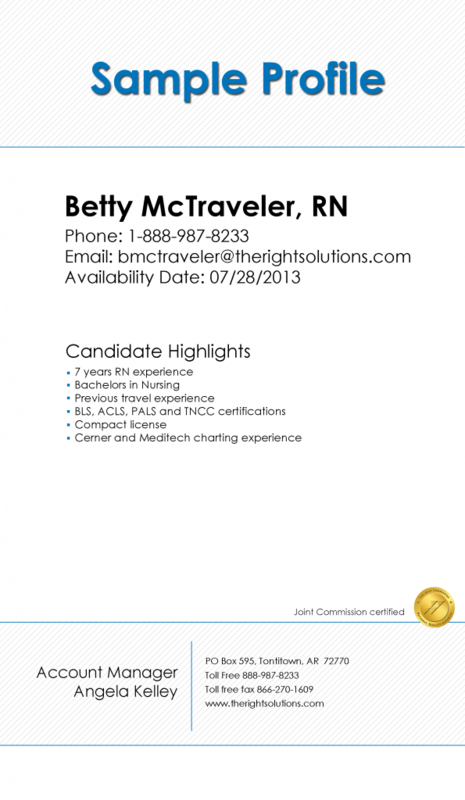 Medical Solutions offers some info on some of the best locations for a summer travel nursing contract here. RN Central has an older (2011, but still relevant) post about 5 great working vacations for summer travel nurses here. And here is a great story about a traveler named Deb Keller who made the most of her summer assignment in the Midwest. Wherever you land this season, just be sure to make the most of it and have some hot fun this summertime! Find out how you and your recruiter can build and maintain a trustworthy relationship. Sometimes, in order to learn how to do something well, it’s helpful to understand how it should not be done. Over at Blue Pipes Blog, Kyle Schmidt recently shared a pair of posts that illustrate this — one about ways recruiters betray the trust of travel nurses and one about ways travelers betray the trust of recruiters. Before diving in, Schmidt notes that the “travel healthcare industry is unique in ways that tend to accentuate the importance of trust between candidate and recruiter.” For example, he writes, healthcare travelers are not just depending upon their recruiters for a job, but often also counting on them for housing and travel arrangements as well as help coordinating the many documents and credentials needed to be in order prior to an assignment. Including quotes from actual nurses pulled from forums and social media, Schmidt then details his list of the 14 ways recruiters can compromise travel nurses’ trust. Themes from this list include any lack of being upfront, lack of communication and follow-up, being too pushy, proceeding without a nurse’s permission, pay issues, and more. Click here to read this blog in full. After discussing that it’s in each traveler’s best interest to maintain a trusting relationship with their recruiters, Schmidt dives into the ways travel nurses can compromise their recruiters’ trust. These can include disrespect for housing, repeatedly cancelling shifts or backing out of contracts, lack of communication, incomplete paperwork, missing interviews, not being upfront, and more. Click here to read this full post. It seems to me after reading both posts that most of these issues boil down to honesty and communication. A good, solid relationship with your recruiter is key to your success as a travel nurse. To that end it’s important that both parties treat each other with respect and honesty. First, you need to work with someone you’re compatible with. Beyond that, ethical behavior on both ends and a two-way street approach to good, honest communication seems to be the best recipe for a happy traveler-recruiter relationship. I hope these tips on how not to be will help you and your recruiters be aware of how to be in order to have the most successful relationship possible. Make Yourself More Marketable, Step 3: Why am I not getting interviews? You might wonder what you’re doing wrong. You might worry that it’s you. But you need to ask yourself some important questions so you can determine why you’re not getting interviews. In part three of the series, we’ll address those questions and what you need to do to get interviews. The resume is a snapshot into your life. It’s what potential employers look at before they call you for an interview. Make sure to promote your value by listing all relevant experience on your resume. Present most of your accomplishments and job duties in bullet points. Most human resource employees spend a minute at the most on your resume, according to Forbes. Because of this, your resume should be concise. Bullet points allow for them to find keywords more quickly. You might have to simplify it to keep it from being too long. It should not be more than two pages. Maybe you have something in your resume that is turning off a potential employer. It’s important to not have employment gaps, or at least as few as possible. Share your experiences that have had positive outcomes. Strengthen your resume by listing multiple examples of these experiences. Consider writing out your objective in your profile. What do you want? Set goals and be specific. Look at developing two resumes. One should be very detailed to include all your experience and skills. The second should be tailored to show that you have the experience to meet the requirements of the job you want. A resume that doesn’t show that you’ll excel at the desired position is the top reason most people aren’t getting interviews, according to U.S. News. Make sure your resume shows what you accomplished at your previous assignments. Don’t just list where you previously worked. This won’t tell a potential employer anything about how well you did at the jobs. People who get the most interviews list their achievements at each job. Human resource employees don’t care that you’ve worked a bunch of jobs in a row. Write a cover letter that shows more than a summary of what you’ve already presented in your resume. If your cover letter is only a summary of your resume, it’s not going to help you, and you might as well not send one, according to U.S. News. A good cover letter will show why you will be good at the job you want. Be inspiring. Add some personality to your cover letter, and you’ll start getting calls for interviews. Ask the right people to look over your resume and cover letter. You might have let multiple people look at your resume, and they tell you it’s fine. Don’t settle for a resume that’s fine. Make it great! Sometimes family and friends aren’t the best people to review your resume. Ask someone with hiring experience to look at it and provide feedback. A test to see whether someone will provide good feedback is to give them a resume with just a list of job duties instead of achievements. If they say it’s fine, you’ll know to look on for advice. If you want a position in which you have no work history, explain to employers why you would be a great fit for the job. You can’t rely on them to figure it out. Others who are looking at the position you want might already have the needed experience to do the job. Because of this, getting this job will be a challenge. Employers might not be willing to take a chance on you when they have other applicants with previous experience in the position. So we’ve covered three key areas on making yourself more marketable: promote your value, transition to advanced skills positions and how to get more interviews. We hope we’ve helped to make you more marketable. Good luck and go land your dream job! Jeff Della Rosa is social media coordinator for The Right Solutions — a nationwide healthcare staffing company. Reach him via email at jdellarosa@therightsolutions.com. Find out more about The Right Solutions on our website, www.therightsolutions.com. Also, check us out on Facebook, LinkedIn, Twitter and Pinterest. You have committed to the exciting field of travel nursing, and you want to be a successful healthcare traveler. You are ready to learn yet are unsure of the next step. We want to help you get there! We’ve spoken to long-time recruiters who have guided nurses and encouraged them on the path to success. They know what nurses have done to reach their goals. Our hope is that you land the job for you. This is part two in the series to help you get the job you want. 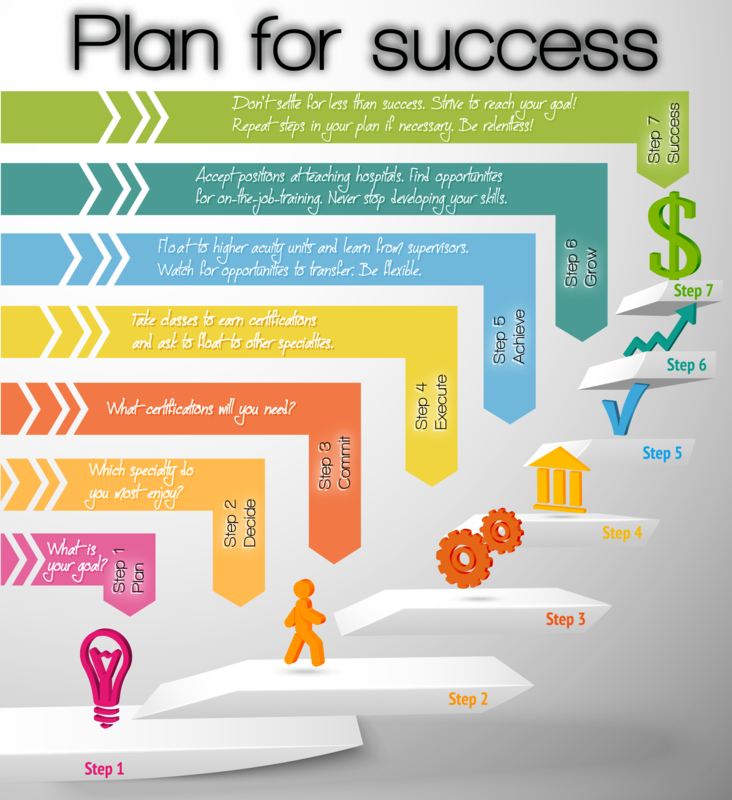 It’s time to determine your successful career path. Write down step-by-step the path you will take to reach the skill set you want and hang the plan on your mirror. Have a goal of where you want to be in a set number of years. Have patience and be realistic of how long it will take you to reach your goals. One cannot go from working in medical surgical to cardiovascular ICU overnight. As you develop your plan, choose a specialty you want to go into based on what you most enjoyed in nursing school. Select another specialty as a backup plan just in case. Determine which certifications you will need. Take classes to earn them. If necessary, pay out of pocket for classes. For example, when working in medical surgical, a two-day oncology class might be offered for $200. Find out what assignments you will need to work. As an example, if you want to work in CVICU, recruiters recommend at least two years of experience in CVICU before working the unit as a travel nurse. Bring permanent experience to the job. Two years of experience working in a field such as ICU will help before starting to travel. This experience would allow you to transition from progressive telemetry to ICU. Volunteer to float to different specialties during your assignments. Some specialties, such as medical surgical and oncology, might be on the same floor. Ask to float to work in other specialties. If you are in medical surgical, see if you can float to progressive telemetry or ICU. Put in your contract that you are willing to float to the units in which you have competency. Travel nurses are often the first to be asked to float. If available, accept opportunities to float to higher acuities. If moved to a higher acuity unit, learn from supervisors and ask questions. If working in progressive telemetry, you might watch a charge nurse remove wires from patients who have just come out of open heart surgery. Then, as you build up their trust in you, you might be given the opportunity to pull the wires. 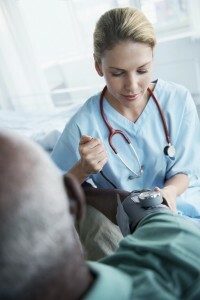 Gain more experience by shadowing a nurse on your own time. Make connections and develop a network of contacts to help you reach your goal. Find out where help is needed. Ask to be transferred to another department if a position you want becomes available. A hospital would rather move an existing nurse into an open position than hire someone new. Be flexible and have a good attitude. Do not narrow down your options. The more positions you are submitted for, the more interviews you will get. The more interviews you get the more offers you will have from which to choose. Accept positions at teaching hospitals or academic medical centers. A teaching hospital offers opportunities to learn new skills while on the job. For example, if you are learning to treat burns, the charge nurse would see patients with serious cases, and they might be transferred to you to attend to as they recover. Gradually, you will be given more responsibility until you start to treat the more serious burns. These hospitals operate in conjunction with a university and foster a learning environment. Not only will nurses be developing their skills there, but also future physicians will be working on their residency there. The skills you learn at teaching hospitals will help you get assignments in the future. Here are some links to teaching hospitals: The University of New Mexico Hospital in Albuquerque, N.M., The University of Oklahoma Medical Center in Oklahoma City, Memorial Hermann in Houston, Texas. While taking on new skills as a nurse is important to your career development, you might find that you are still struggling to get an interview for the job you want. Check back next month for the third blog about getting interviews. Check out these Travel Nursing Checklists! There’s a lot to think of when you embark on a career as a travel nurse! Travel Nursing Hospital Interview Questions — Put your best face forward and highlight your skills and flexible personality when interviewing. Travel Nursing Agency Questions — Know what questions to ask when you are researching companies. Travel Nursing Housing Questions — Know what questions to ask when making housing requests. List of What Travel Nurses Pack — Make sure you think of all the important items that you will need while on assignment. List of Documents Needed For Travel Nursing — Be prepared with all of the appropriate paperwork you will need to begin a job in travel nursing. Travel Nursing Companies’ Contact Info — Contact more than 300 travel nursing agencies and figure out which company is the best fit for you. 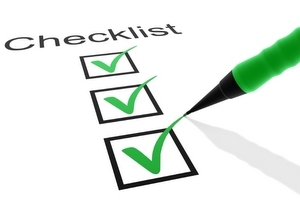 Click here to check out our Travel Nursing Checklists in greater detail! We hope that they will help you find the right company and assignment, and ease your way from interviewing, to packing, to your first day on the job. 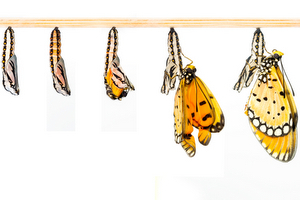 Abracadabra: Make yourself more marketable with these simple steps to get the job you want. We’re excited you are looking to work in travel nursing. We want you to be happy with your career choice. We hope you land that dream job — the one you’ve always wanted but is seemingly out of reach. You wonder what more you can do to accomplish your goal. We’re here to help. We’ve done the research, and we’ve put together a series of blogs to give you some insight on how to get there. The first in the series is how to show prospective employers your value. Dust off the awards, certificates and trophies you have earned as a nurse. Amaze a prospective employer with all your accomplishments. Sell yourself, but don’t sound like a salesperson, according to Harvard Business Review. Tell a story about an issue you or your department faced, explain your responsibilities and how you completed them. Be sure to say that you completed your responsibility. Speak about what happened as a result of your or your team’s accomplishment. You might have been recognized by a hospital. Show this recognition. Also present your caught-in-the-act and patient care awards. Don’t worry about being too modest on your skills checklist. Explain your experience and skills in a way that shows the value you have to offer, according to Forbes. Talk about what you have to contribute to a facility. Say whether you are bilingual, tell them about the charting systems you know and if you were a supervisor or have charge experience. Present a solid work history. Show your experience at various hospitals. It is important to broaden your work history by taking shifts at multiple hospitals. The more places you work, the more people you work with. The more people you work with, the more you know. One of them might be your next solid reference who helps you get the assignment you want. Your solid reference must be someone who is easily reached and available to take call. Make sure to have a number of people who are willing to promote you. Have their cell phone numbers ready. When you have someone who can speak for you, it feels less like you are bragging and makes you look more credible, according to job-hunt.org. Get testimonials from several people to show how you are the right fit for the position. Another good source of information is a performance review from a supervisor. Use a positive review to describe your strengths. You can also use this information on your resume, which will be covered in an upcoming blog in this series. While speaking highly on what you have to offer is important, it’s even more vital to show a broad work history as a nurse. Check back next month for the second blog in our series, and we will give precise details on how to develop your skills and succeed as a travel nurse. If you are a “Walking Dead” fan and also a nurse, this is the post for you! Of course, it might not be zombies … maybe it’s a nuclear winter, an asteroid, or even climate change. Whatever the potential apocalyptic trigger, one thing is certain: We’re going to need a lot of nurses — and the ability to travel will be more important than ever! Read the latest updates on what is going on with Travel Nursing Central, your one stop resource for everything travel nursing.